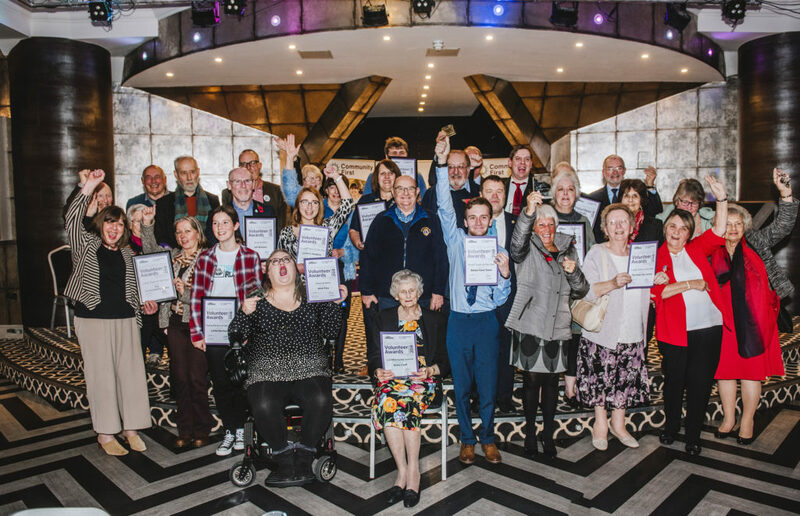 On Thursday 8th November, East Hampshire District Council (EHDC) and Community First celebrated the contributions of local volunteers at the East Hampshire Volunteer Awards in the Old Thorns Hotel near Liphook. Volunteers were recognised for their unwavering commitment to service, their above and beyond efforts to support their organisation, and their positive influence through engaging their peers. 150 attendees, including nominated volunteers and their guests, were welcomed to the hotel’s Gatsby Ballroom by the music of the Alton College Jazz Band. Pradip Tran, a pupil at the Petersfield School and accomplished solo violinist, entertained the audience with a sublime musical interlude. Local groups Charity Walk for Peace and Home Start Butser also spoke in between award presentations to raise awareness of their work. Tim Houghton, CEO of Community First, and Sandy Hopkins, Chief Executive of EHDC, gave speeches to thank all the volunteers and to encourage everyone to spread the word about volunteering and its value to our communities. Janet Duggan, Volunteer Service Manager and Compere for the awards, said “we would like to congratulate the award winners who represent all the volunteers who work tirelessly across East Hampshire. It was so inspiring to hear about the contribution each volunteer makes to local organisations”.